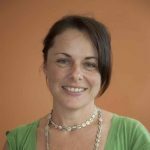 Suzanne Parker is an NHMRC Early Career Fellow at UQ Centre for Clinical Research (The University of Queensland; Australia) with over 20 years’ experience designing methods to measure drugs in biological fluids. Her research is focused on the improved healthcare of infants and children through evidence-based drug dosing with the aim to develop less invasive sampling methods that can improve the feasibility of clinical dosing studies. In 2016, Suzanne established the Clinical Microsampling Group to advance her research program. This group aims to replace traditional, highly invasive blood-taking techniques with an innovative microsampling approach that enables measuring drug concentrations in a drop of blood. Imagine this scenario: it’s 5 am. You are a junior doctor in a neonatal intensive care unit (NICU) and you have 1 hour left before the handover ward round. Amongst other patients that you have been responsible for, you are caring for a 1200 g baby who is fighting an infection. This baby has been in the NICU for 8 days and is at risk of sepsis, for which there is a mortality rate as high as 50%. Your registrar has requested monitoring of the antibiotic that has been prescribed. This routine treatment and testing is performed twice a day post-antibiotic administration. You are given a small tube that can hold up to 0.5 mL of blood. You use a push-button lancet to obtain blood from the heel of the baby. A small drop of blood slowly extrudes from the skin. You wipe the tube against the heel and wait for the next drop. You slowly collect drop after drop. But how much is enough? When do you stop collecting? You watch the baby carefully for signs of distress. These can be fleeting changes to oxygen levels, which are usually self-limiting or self-resolving, to sudden drops in blood pressure. You collect as much as you can over 4–5 minutes when you see the baby’s heart rate drop and you and the nurse quickly agree to stop collecting any further sample. You send the sample in to the pathology laboratory. You continue to attend to your other patients, communicating with nursing, specialist and other support staff as your shift ends. Around an hour later the ward receives a call. There was an insufficient volume of blood for the laboratory to obtain a suitable measurement. They need another sample. Critically ill patients require careful monitoring and support. From neonates to adults there remain challenges to antibiotic dosing critically ill patients due to alterations in their pathophysiology caused by their disease state and by necessary life-saving medical interventions. Dosing studies provide a scientific evidence-base from which regimen recommendations can be derived. Dosing derived from a healthy adult are rarely applicable to a critically ill adult and irrelevant to a critically ill neonate. And it is these patients, the critically ill patients fighting infection, that need rational and personalized treatment of antibiotic dosing. But in critically ill patients, performing these studies represents an additional burden on often already high-levels of monitoring and interventions. Studies have shown an adult intensive care patient can have up to 1L of blood taken for routine tests over the course of their stay in the unit. Strategies are necessary in a NICU to reduce blood sampling to limit the burden on our smallest patients. Microsampling offers an opportunity to perform these dosing studies in critically ill patients by minimising the sampling burden associated with participation. Some types of microsampling, such as capillary microsamples and VAMS, also offer a direct benefit to the nurse or doctor collecting the sample by providing a known collection volume. That is, certainty that the collection volume is sufficient. For the pathology laboratory, this has the potential to reduce the need for resampling. Conversations with clinicians have highlighted to me the importance of the reliability of the result: that for monitoring an antibiotic using trough concentrations with a method producing data with a CV of 20–30% can lead to inappropriate dosage modifications with potential therapeutic consequences for efficacy and toxicity. Further, clinical chemists have highlighted that changing sampling types on a large scale for routine analysis will impact heavily on the work practices of a clinical laboratory. Within a clinical academic research environment, we continue to investigate the suitability of microsampling by asking which is the right microsample for our patients? As I identified above, severely ill patients do not have ‘normal pathophysiology’. Neonates may have hematocrit levels of up to 70%, while critically ill adult patients routinely have a hematocrit around 30%. Ideally, for the neonate, collecting a 50 µL sample will leave us with 10–20 µL of plasma. This can limit the validity of sample for analysis, let alone a duplicate reanalysis. Practically, we have found the collection of blood from a critically ill adult (with hematocrit at 20–30%) into a 50 µL capillary tube has led to a plasma sample volume, after freezing and thawing, that has allowed only a single analysis of 2.8 µL. Given the clinical challenges in collecting a sample – obtaining consent from the patient to participate in a research study, working in an ICU alongside ward nurses with very busy workloads, processing a sample in a timely manner within a hectic workplace that requires high responsiveness to patient needs and immediacy of treatment – failing to achieve high-quality data from a patient’s sample is a deeply unsatisfactory outcome. As I look to the future of microsampling, not where I design a microsample but where I apply commercially available devices (or sometimes microsampling devices that can be used ‘for research purposes only’) into a real-world clinical environment of ‘atypical’ patients, I know what I need. I need a device that is simple and reliable in its use. For the bioanalyst, a device that has a known volume. For the nurse and doctor, a volume that has a ‘collection endpoint’, that requires minimal bedside processing and is acceptable to the patient. For pharmacokinetics, a device that can cope with extremes of pathophysiology, a device that can measure unbound antibiotic concentrations (the concentration that produces the therapeutic effect). For our patients, we need this work to continue to advance so they can receive the highest quality of care.